Inspired by his deep love and passion for cats, Jarry Kong Kian Foh established the Borneo CatLover community (BCC) Facebook page back in October 2013. The page encourages its member and activities and followers to participate in every programmer and activities that the community organizes, whether directly, or behind-the-scene. 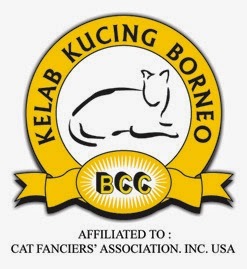 The BCC was also established as a platform for cat lovers to share everything that has anything to do with cats; from keeping cats as pets, experiences, pictures, interest, health, and questions about cats. The page is also a medium for people to sell and buy cats. On 7th September 2014, the community held their second BCC day out programme, which is a gathering that look place at Pantai Tanjung Aru, Kota Kinabalu. The event,without doubt, was merrer tha n the first one they had back in august. The cats” cute and lovable antics absolutely attracted and entertained the audience and visitors.to make things interesting and the party going,the organizer had prepared five categories of competition,namely the Cat Walk, Cat Show, Best Domestic Short Hair, Best Domestic Long Hair, and last buy most certainly not least, Cat of The Match Category. 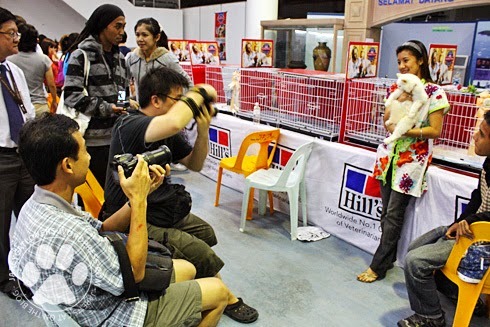 Big eyes owned by Alex Bangking won the Cat Walk category, while Ginger (owned by Pugai-Pugai Chef) Gucci (owned by Salbinous Saribun) and Ghenji (owned by December Teo) won first, second, and third place respectively in the Cat Show category. Best Domestic Short Hair was given to Glenmoj Mojilis’ cat Fluffy, and the Best Domestic Long Hair to Farel, owned by Mia Haida. The positive feedback and love from the people who came to the gathering helped the organizer to improve their future programmes. Even at this moment, the BCC already has its hands full with planning many activities in the time to come.